Some years ago, I was born and raised in Breda, a city in the south of Holland. I moved to Amsterdam after a gap year in Australia and Asia and started studying Media & Culture, at the University of Amsterdam. A year later I also started the study Sociology at the same university. In 2012 I finished my bachelor degree after researching the beverage choices of 007 in my thesis ‘Transmediating sexist dinosaurs. James Bond and his journey of product placement‘. With my studies I mainly focussed on drinking cultures and summer 2014 I’ve graduated for my masters degree in Sociology. I researched another alcohol related subject, this time the effects of globalisation on the Dutch genever market. Because I learned so much more about this spirit after writing about it for half a year, I decided to share my newfound knowledge and start a blog on this subject. Genever, or jenever in Dutch, is a very interesting spirit and there is a lot more to learn about it. Also for me. 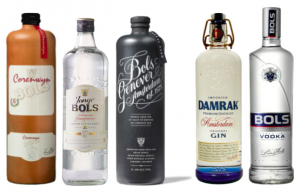 That’s why in the blog category ‘Genever Journey’, I’ll let you in on my latest discoveries and I look forward to your feedback and questions. From when I was 16 years old, I worked in all sorts of branches of the hospitality industry. After moving to Amsterdam and working at catering jobs, events, posh restaurants and a couple different bars, I fell in love with the wonderful world of mixology. Aside from being a student I worked as a bartender at Door 74 in 2009. Now, seven years later, this side job has turned into my career. I have the job I love and get to work alongside some of the best of the industry. I still work at Door 74 and I love it there. The guys there are like family and it’s my safe haven. Besides working at Door 74 I am a freelance hospitality professional, just a term to describe all the different aspects of what I do for a living. For instance, I now blog. But you can also contact me for guestbartending, consultancy, training, workshops, signature cocktail & menu development and events abroad. Just to name a few. Or buy my book Cocktails met Tess and become a true bartender yourself. Click here to view my nominations & awards, see some photo’s or visit the video gallery.